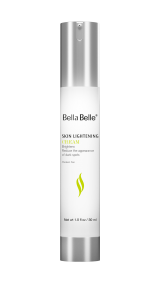 Reveal your skin's brilliance with Bella Belle Illuminating Body Complex. It takes dry, dull and drab skin and whips it into shape with natural oils, extracts and antioxidants. It whitens dark skin while nourishes for an overall improvement of skin tones. Treat and prevent rough skin, blemishes, discoloration and smooth uneven skin. Enhance skin elasticity and restore skin structure for youthful skin. Suitable for all skin type. This body lotion is light and refreshing for long-lasting moisturization. It hydrates skin to restore suppleness and radiance.